When you arrive at for a cruise aboard the Showboat Branson Belle, you'll be welcomed by the serene beauty of White River Landing, home to the majestic 700-seat paddlewheeler when it isn't gliding across the waters of Table Rock Lake. Before you embark on your cruise, take some time to explore the charming gardens that surround the landing. 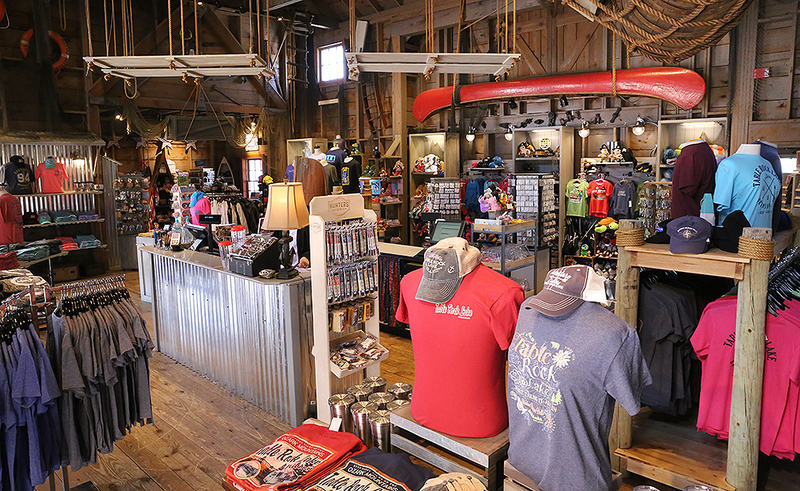 Then, step into our two unique shops, Layton's Mercantile and McAdoo's Boatworks, and browse an impressive variety of souvenirs, apparel, collectibles and more. 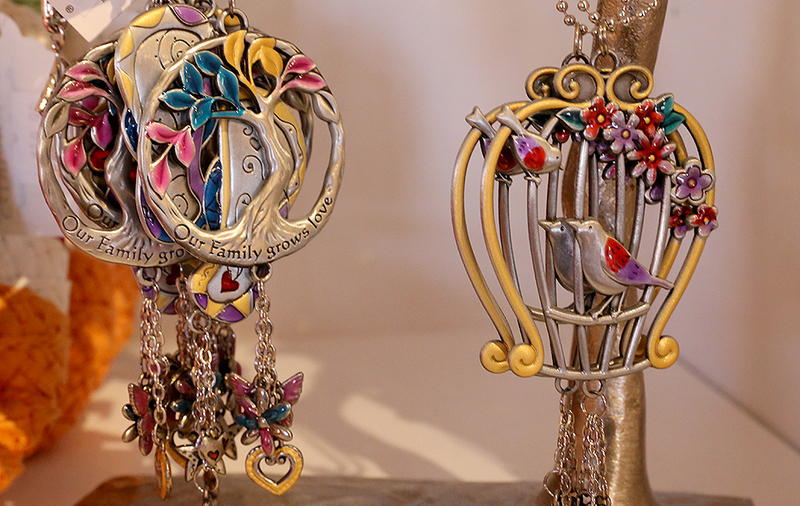 Here's just a small preview of the items you'll find at our lakeside boutiques. 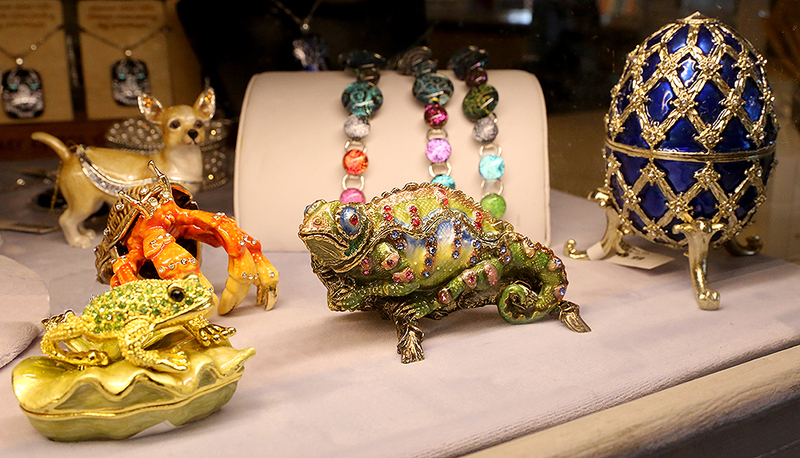 These colorful figurines are just a sampling of the elegant collectibles available at Layton's. 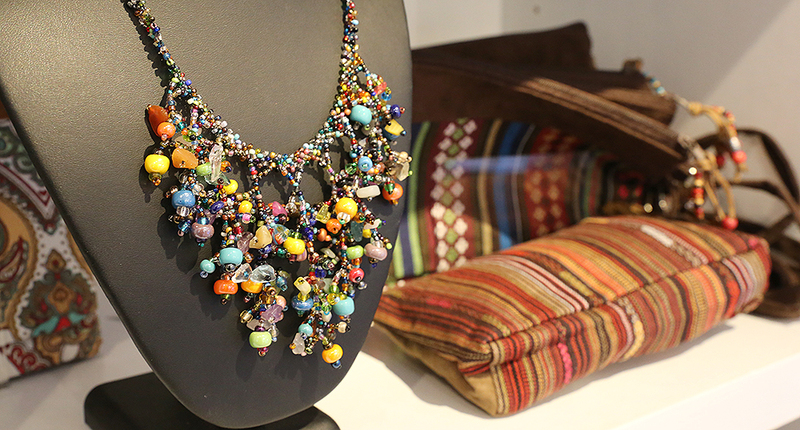 Make a statement with vibrant accessories. 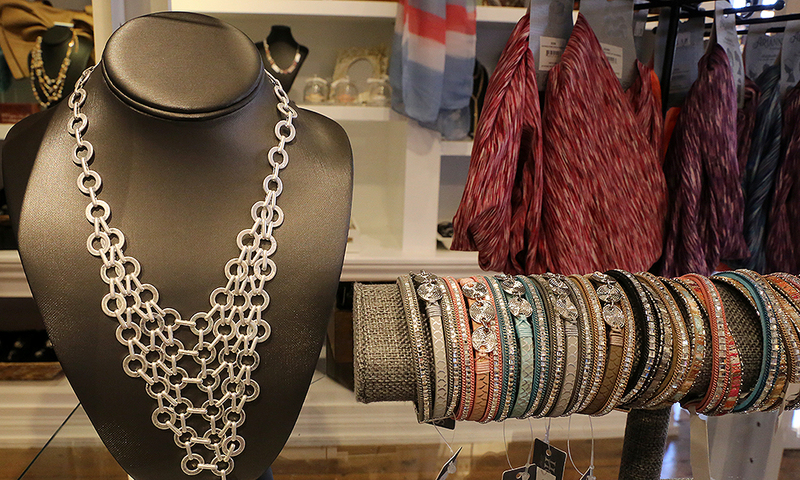 Find jewlery and scarves to complete any look. Layton's also has gift items perfect for any occasion. 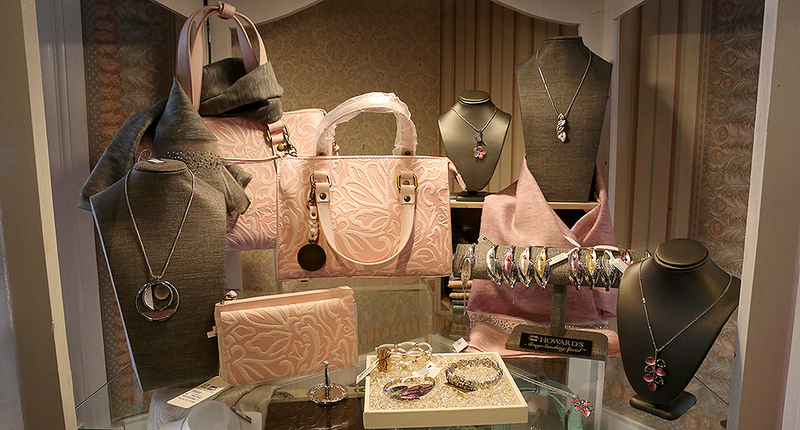 Accent your summer style with these blush-colored bags and jewelery pieces. 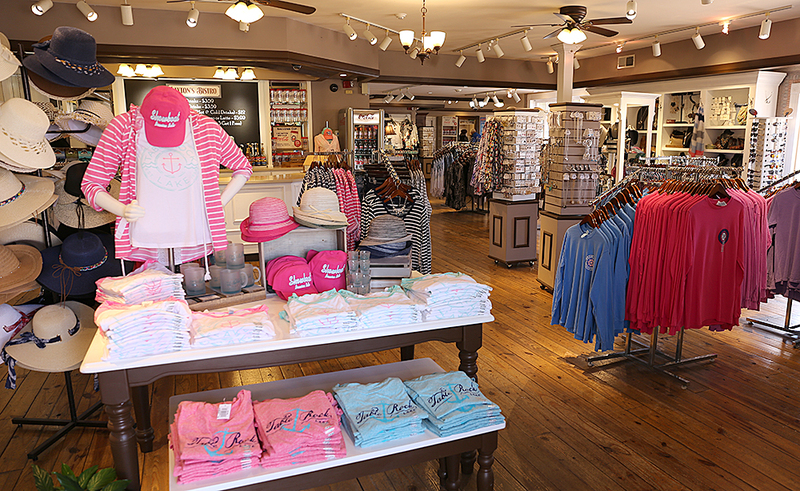 Pick up some casual and colorful apparel for fun on the lake. 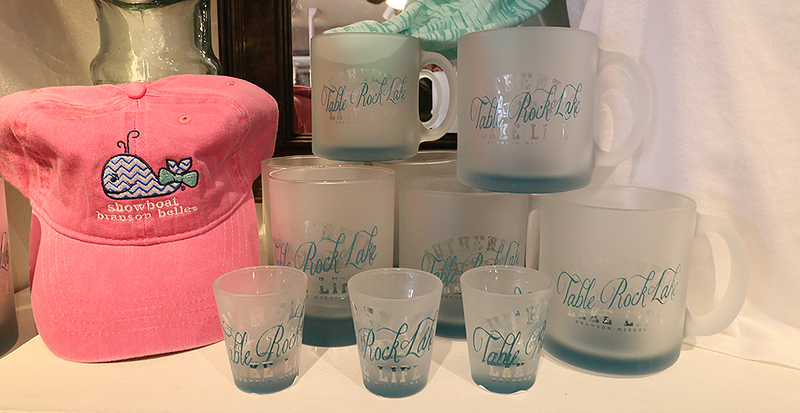 In addition, Layton's has a variety of Table Rock Lake souvenirs. 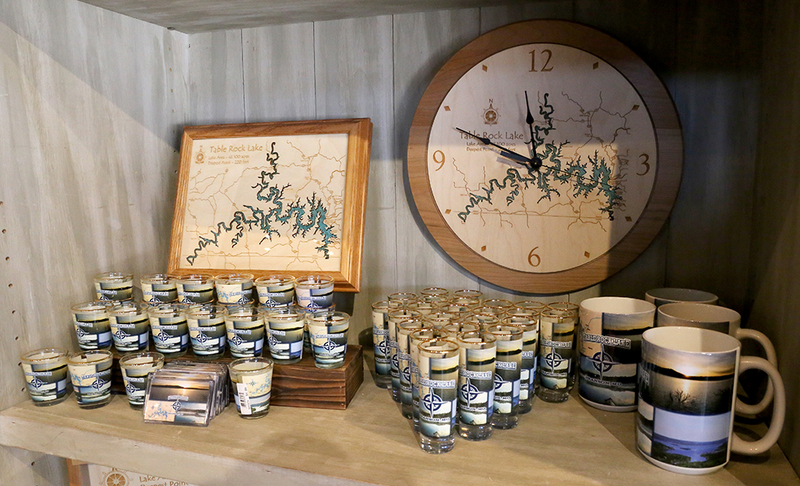 For the lake lover in your life, McAdoo's carries a wide selection of nautical-themed merchandise. 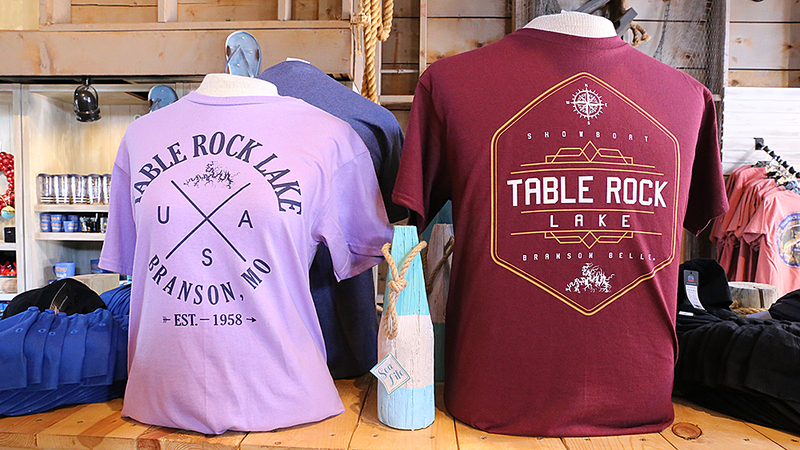 You'll also find comfortable and stylish souvenir apparel featuring Table Rock Lake. 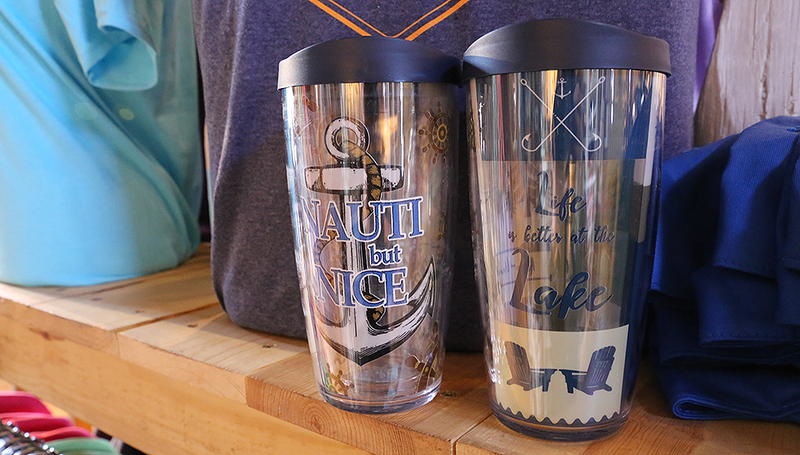 These tumblers are perfect for summertime sipping. 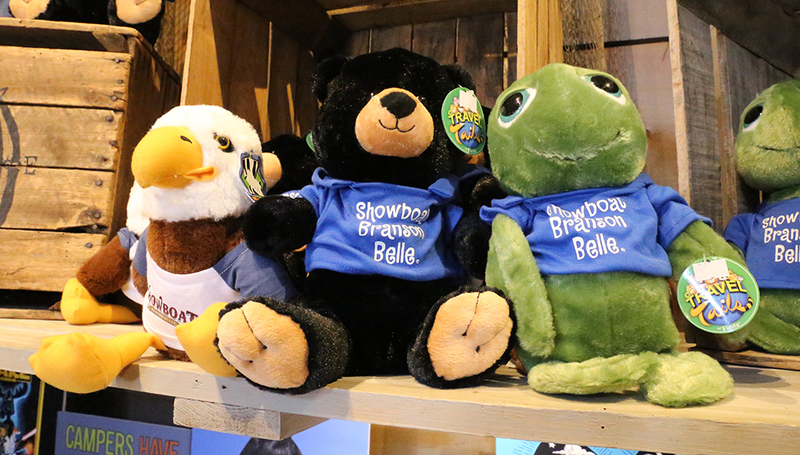 For the little ones, these cute critters make sweet souvenirs of their lake adventure. Grown ups will will find plenty of souvenirs to choose from as well. Book your summer cruise aboard the Showboat Branson Belle and come explore White River Landing for yourself!